The Shinji Shobogenzo is a collection of three hundred and one Chinese koans, stories describing the teachings, conversations, and actions of ancient Buddhist masters. It was compiled in the 13th century by Master Dogen, the founder of the Soto Sect of Buddhism and one of the most brilliant philosophers in Japanese history. 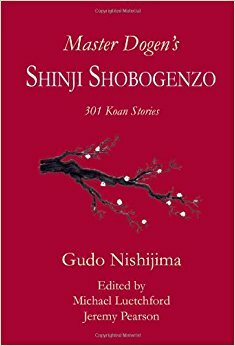 This essential collection encompasses many of the well-known koan stories and other interesting and less familiar ones, and is presented here with commentary by Gudo Nishijima Roshi, a contemporary Buddhist master renowned for his clear and no-nonsense approach. Edited by Michael Leutchford and Jeremy Pearson.